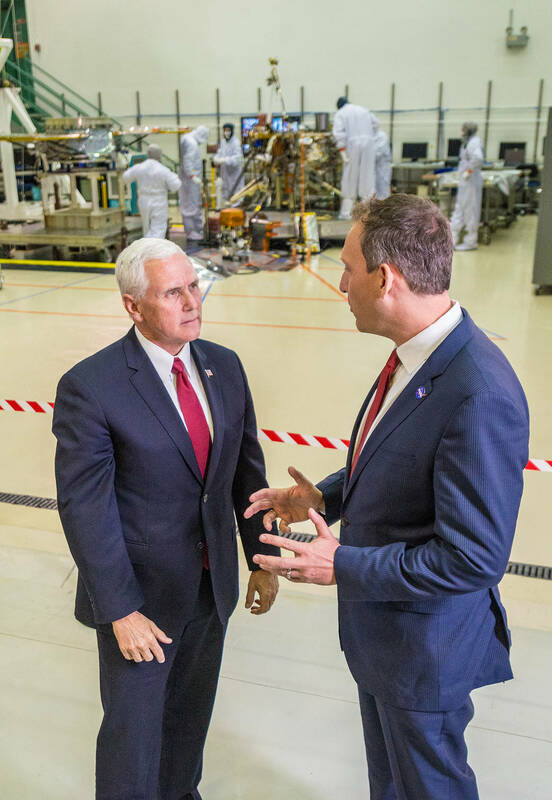 October 27, 2017 – Vice President Mike Pence and Thomas Zurbuchen, NASA’s associate administrator for the Science Mission Directorate, visited a clean room facility in Littleton, Colorado, where Lockheed Martin Space Systems is assembling and testing InSight, NASA’s next spacecraft to Mars. InSight, for Interior Exploration Using Seismic Investigations, Geodesy and Heat Transport, is on course for launch next May from Vandenberg Air Force Base in central California — the first interplanetary launch in history from America’s West Coast. InSight will land on Mars in November of 2018, where it will be the first mission to explore Mars’ deep interior. InSight investigations will improve our understanding about the formation and evolution of all rocky planets, including Earth. JPL, a division of Caltech in Pasadena, California, manages the InSight Project for NASA’s Science Mission Directorate, Washington. 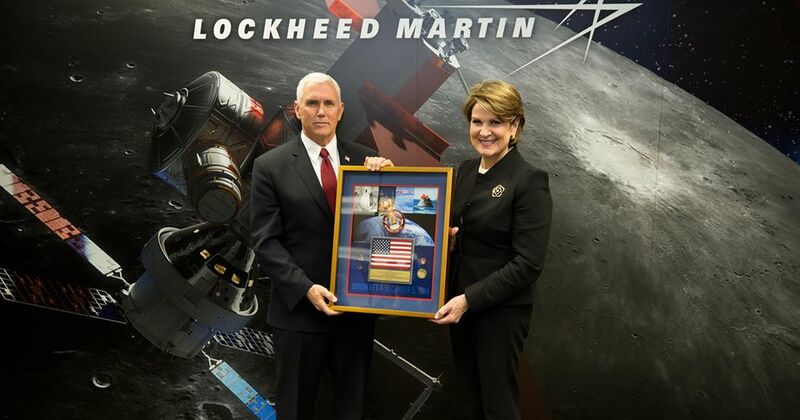 Lockheed Martin Space Systems built the spacecraft. InSight is part of NASA’s Discovery Program, which is managed by NASA’s Marshall Space Flight Center in Huntsville, Alabama.